Upgrading the Office? Sell or Trade In Your Old Mac (G3 or better)! We buy quantities of Mac systems & components. Email your list for a quote! PCI Slot Case Fan - Keep that CPU COOL! New! High Air Flow - High Static Pressure Fan. Cooler computers last longer! This fans work is exhausting. Keep that overclocked overstuffed Mac or PC cool! Electronic components operate their best at lower temperatures and last longer. Here is a low cost way to add life to your system. These are great for Mirror Door systems since they help exhaust that extra heat from the top of the machine (place it in the uppermost slot). They are also good insurance for your high powered graphics card since when position right next to them they help keep them cooler. On other systems I would reverse the flow to draw cool are in from the bottom most PCI slot (swap the wires). 3 x 3-inch (90 mm) blower fan, 2500 RPM fan speed and an air flow of 6.92 CFM. Fits in any open PCI slot and uses your hard drive or CD power supply plug with its own pass thru plug. Our $14.77 includes shipping! Shipping charges included in price of item. Sales tax added for Oklahoma residents only. G3 Desktop or Minitower AV Personality Card. These are beginning to get rare. Add Audio Visual Input for your G3 Beige at a budget price. Works with most AV software including Avid and AudioCorder. Convert our old Analog or VHS Video, or your old LP's. These have regular RCA jacks for input and output using your cables. Used tested pull. Included Kitchen Sink CD. Order with your G3DT or G3MT and we will install and test it free. Our price $44.77 includes domestic shipping. Two-port connectivity and high speed make the LSI7202XP-LC the host bus adapter you need for your SAN and other storage connectivity. 2Gbit Fibre Channel performance will help you move data, video and other high-bandwidth content like never before. Used working pull. Our $34.77 price includes domestic shipping. 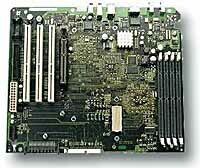 661-2331 Logic Board For Power Mac G4 Gigabit Ethernet (G4/450dual/500dual and G4/400 with 10/100/1000ethernet). REPLACEMENT FOR: Power Mac G4 (Gigabit Ethernet), Macintosh Server G4 (Gigabit Ethernet), Macintosh Server G4 (Gigabit Ethernet), Power Mac G4 (Gigabit Ethernet). Requires 22 pin power supply will not substitute for earlier Sawtooth systems. Tested pull, Headgap Systems 30 day parts warranty. Our $79.77 price includes domestic shipping. We have various drive installation kits for beige Macs. Some include trays & bezels, others bezels and screws. $19.77. Call to check availability for your computer. Complete Mounting Kit. Molded bezel, 3.5" sled/metal adapter bracket, 5" SCSI Extension cable, and four screws needed for attaching the bracket to the drive. For mounting Iomega Jaz, Zip Insider, Nomai MCD, 3.5" SyQuest or Optical Drive in the third bay of Quadra 800/840av, PowerMac 8100, 8500, 9500. The full face of the drive is accessible, 1" x 4" opening. Instructions are included. Metal drive sled/tray for G3 tower units. Includes screws for mounting. Our $10.00 price includes domestic shipping. Internal CD-Rom 24x - ATA Replacement - Clearance! We're overstocked! You save! Internal Apple 3600i CD-Rom 24x - ATA- used, cleaned and tested pull. No compatibility issues, these are Apple brand and use the drivers included with the OS. Requires ATA systems with an open IDE port. NOT FOR SCSI machines. Great replacement for G3 Desktops and Towers. $20.00 includes domestic shipping. 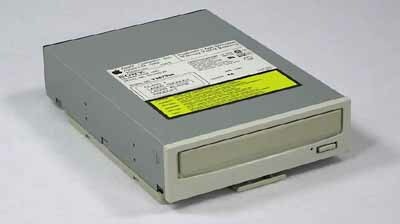 Internal CD-Rom 32x - ATA Replacement Closeout $20.00 shipped! FASTER replacement for your G3 for cheap! Internal CD-Rom 32x - ATA- (IDE bus) used, cleaned and tested pull. No compatibility issues, these are Apple brand and use the drivers included with the OS. FASTER replacement mechanism for the Beige G3 Desktops and Towers! Exact replacement for Blue & White G3 systems. Perfect upgrade replacements for SuperMac and Power Computing ATA systems since these faster players make the CD Apple compatible. WAS $39.77 Closeout Special $20.00 includes shipping. Moving up to a G4? Don't lose your SCSI! 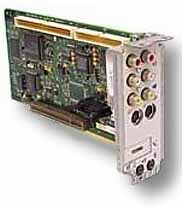 The Adaptec SCSI Card 2906 (tested used pull) protects your SCSI peripheral investment by providing the same internal and external connections previously available with built-in Mac SCSI. And it works with Old SCSI manager as well as newer SCSI Manager 4.3 compatible devices for maximum compatibility. It also provides 10Mbyte/sec Fast SCSI performance that is twice as fast as the previously provided built-in Mac SCSI, and 6 times faster that the standard PC parallel port. 25 Pin External SCSI connector, 50 pin Internal. NOT BOOTABLE. Requires open PCI slot, Mac OS8.5 or later. OS8/9 driver on our Kitchen Sink CD. Compatible with both old and new SCSI devices and works with older beige PCI Macs. Will not work in G5 PCI-X slots. Suggested Retail $59.99 SALE $17.77 price includes domestic shipping. We suggest the 2930 card with adapter for OSX systems. Zip Replacement Power Supply. Small footprint 5V, 1Amp genuine Zip brand. Shipping is included with our low $14.77 price. WITH 25 PIN ADAPTER! Adaptec/Apple ROM PowerDomain® 2930 Ultra SCSI PCI card for Macintosh. We include the external mini 50 to 25 pin adapter! 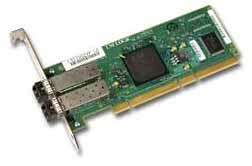 This 32-bit PCI to Ultra SCSI adapter supports 7 SCSI devices, with 20 MB per second throughput. Provides an internal 50-pin connector, and an external 50-pin high density connector. Apple original card (OEM) including Apple ROM- same card as was included with the Blue & White G3 systems and features: FULLY COMPATIBLE with Mac OSX through Tiger, Gain Ultra SCSI speed: 20MB/sec data transfer rate, Preserve investment in existing SCSI peripherals, Take advantage of the newest SCSI peripherals, Increase performance of existing SCSI peripherals, Achieve broadest compatibility. Perfect addition if you need SCSI with your G4 Tower. Requires an open PCI slot (will not work with G5 PCI-X slots). Operating Systems: MacOS 8.0 or greater - Full Mac OS X through Tiger support using Apple's built in drivers. Your price $39.77 including shipping. 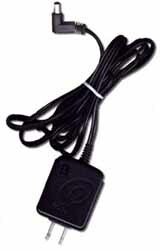 iMac G4 Power Cord. Special 3 prong connector. New Black only. Our $14.88 price includes domestic shipping. ATI Rage Pro AGP 16MB Video Card for G4 Tower AGP slot. These work in a G4's special AGP slot. They will not work in a PCI slot. Tested pull. 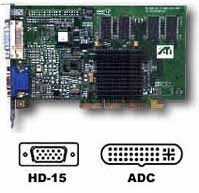 These cards have HD15 VGA and ADC out. For the ADC (Apple Cinema Display type connector) to be powered you must have the 28V source supplied by the motherboard in later model G4's like the Gigabit Ethernet and Digital Audio's. LOWER $39.77 includes domestic shipping. Want to upgrade your old Blue and White so it can run OSX Tiger? 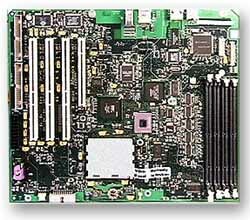 This REV2 motherboard will solve a lot of the problems associated with the older Rev 1 motherboards. This is the motherboard only, you will need your old processor and other parts from your existing system to install it. Cleaned tested used motherboard, pulled from a working system. Printed instructions included. A phillips and a small flatblade screwdriver are all that is required to install it. $99.77 includes domestic shipping. Small Drive Jumper - $1.99 includes shipping! Package of 6 Small Drive Jumpers (2mm Gold Plated) fits most SCSI drives and also works in other places jumpers (sometimes called shunts) are used. Overclocking Mac G3 computers is an example of another place these small size jumpers are used. Shipping included! Call for large quantity prices. Large Drive Jumpers - $1.99 includes shipping! Package of 6 Large Drive Jumpers 2.5mm (Tin Plated) fits most IDE/ATA drives and also works in other places jumpers (sometimes called shunts) are used. Used to configure your 3.5 IDE type drives as a master or slave. Shipping included! Call for large quantity prices. Jumper Combo - $2.99 includes shipping! Not sure what size you need? Order this and get 6 Large Drive Jumpers 2.5mm (Tin Plated) 6 Small Drive Jumpers 2mm (Gold Plated). Shipping included! Call for large quantity prices. Shorty Small Drive Jumper - $4.99 includes shipping! 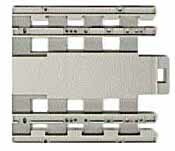 Package of 4 Extra Short Small Drive Jumpers (2mm) fit SCSI drives where an extra LOW PROFILE is required and also works in other places jumpers (sometimes called shunts) are used. Shipping included! Call for large quantity prices. Mac Feet - $2.99 includes shipping! Package of 4, self adhesive feet. These are no longer in production and we buy the materials in bulk and make them by hand. Extra heavy duty double stick tape. This style rubber feet were used on many models of Macs. Replace your missing feet today. Many units rely on having space for ventilation. Don't let your system overheat or damage your furniture. Clean the old surface of debris with alcohol, let dry. Simple peel and stick installation. $2.99 includes domestic shipping. Internal 3.5" Floppy Replacement Drive - Refurbished Genuine Apple! These are thoroughly cleaned and fully tested pulls from working systems. 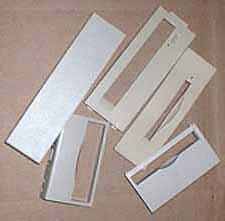 These are genuine Apple floppy drives, new style with door cover. R/W 1.4-800K-400K. If your drive is not working properly now is the time to replace it! We disassemble, clean, lubricate and thoroughly test each drive. Our $49.77 includes your shipping! Mail your old floppy back in for proper recycling. Adapter for CD or DVD mechanism for Slotload iMacs. You should have pulled the old one before throwing away your old mechanism, but you already know that now. Our $14.99 price includes shipping. Adapter for CD or DVD mechanism for Trayload iMacs. You should have pulled the old one before throwing away your old mechanism, but you already know that now. Our $14.99 price includes shipping. 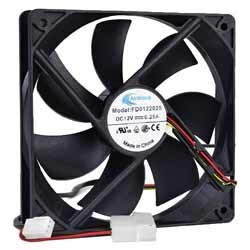 60mm 12 Volt Cooling Fan - Lower Price! Overclocking your G3 or just need some extra cooling on your PowerMac? Or just want your equipment to last longer. This 60mm (2-3/8" Square) and roughly 25mm deep. Fan fits perfectly in the Beige G3 Tower housing and is compact enough for many other applications. There is room for 2 in the G3 Tower and one works nicely inside the drive bay on the desktop housings. Simply hook to any 12 volt source like the drive power plugs. Wiring and mounting screws are up to you. Also works for other applications. Used pulls, brands will vary, units are clean and quiet. Lower Price was $9.77 now $6.77 Shipping included! 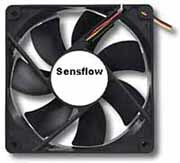 120MM High Speed Case Fan for your G4! Both PowerMac G4 Systems and Blue & White G3's use a large case fan to keep the innards cool. 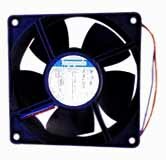 Replace your old stock noisy fan or dying fan with the high speed 120MM fan. This fan spins at 1500 RPM speeds and flows up to a whopping 86.64 CFM due to its efficient fan blade design. The smooth hard plastic blades stay cleaner longer. Why install a more expensive, slower factory replacement, when you can actually improve your air flow. Fits perfectly in the stock location using the stock screws. Simply plug into any available hard drive cable. I use these on my G4 Servers. Our low $14.77 price includes domestic shipping. 80MM High Speed Lighted Power Supply Fan for your G4! Both PowerMac G4 Systems and Blue & White G3's use an 80MM power supply fan to keep the innards cool. Replace your old stock noisy fan or dying fan with the high speed 4 LED lit 80MM fan. This fan moves more air due to its efficient fan blade design. The smooth hard plastic blades stay cleaner longer. Why install a more expensive, slower factory replacement, when you can actually improve your air flow. Hydraulic bearing design means quiet and long lasting. Fits perfectly in the stock location. You will have to modify the wiring (I just invert the plug). I use these as replacements on our G4's. Colors may vary no choice. Our low $12.77 price includes domestic shipping. Stock Apple 120MM Fan with standard 2 pin connector. Exact replacement, brushless. Used cleaned and tested. Fits Blue and White G3, and G4 cases. Our $22.77 price includes domestic shipping. Clean working pulls are perfect low cost upgrades for 7500/100's and other machines with only 120 mhz processors. Fits in the processor slot. Our $15.00 price includes shipping. 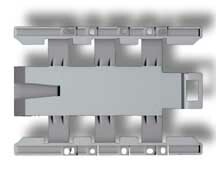 Clean working pulls are perfect low cost upgrades for 7500/100's and direct replacements for 7600/120 processors. Fits in the processor slot. Our $15.00 price includes shipping. Clean, tested, used Mirror Drive Door Internal 120MM Fan. Replace your worn or noisy fan with this replacement. Our $29.77 price includes domestic shipping. If you have a Digital Audio or QuickSilver G4 you have a small fan in a rubber boot that blows directly on the processor. These fans get dirty and the bushings wear out. This brand new fan is the correct size and make a quiet replacement fan. May require wiring mods but fits perfectly back into the rubber boot. This is what I use when replacing these fans. They supply a bit more air and are not thermally controlled which means they are full on anytime your system is powered up insuring your processor runs cooler. Our $8.99 price includes domestic shipping. Slot covers fit slots in any PCI based Mac including PowerMac 7200-9600, Beige G3 Towers and Desktops, Blue & White and G4 Macs. Pack of 4, $1.00 with any order. White Thermal Grease Compound - New! I use a small amount of this thermal grease to keep the CPU's from sticking to the gasket and to improve heat transfer. Use this or any compound sparingly as too much can cause problems. This is also required when you dissassemble Flat Screen iMacs for battery replacement. You actually break the thermal seal on the Flat Screen iMac when you remove the base and it must be renewed when reassembling the iMac to prevent damage. Computer processors generate a lot of heat. Too much heat will cause damage to this costly component! Increase the heat dissipation of CPUs and improve performance with this Thermal Grease compound! Mirror Drive Door owners take note you need to add this to your system now! Tiny syringe type applicator for easy spreading. 1.0 gram of Thermal Compound (Thermal Grease) for CPU use. Covers approximately 10-15 small CPUs. Helps the heat dissipation from a CPU to a heatsink. Our price $2.99 with any order. Package of 6 Small Drive Screws fits most hard drives. This size screw is commonly used on computers, replace those missing ones. #6-32x1/4". With any order. Sled for mounting 5.25" internal drive in Quadra/Centris 610/660av, Quadra 800/840av, PowerMac 6100/8100/8500/9500/7200/7300/7600/G3DT's, Generally used to mount CD's in many Mac systems. 4 screws are included. Drive Sled for Mounting 3-1/2" Internal Drives for 6400/6500 series. 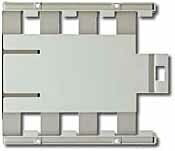 5-1/4" Sled for mounting a 3-1/2" SCSI internal drive in the top bay or your PM6400 or 6500. 4 screws are included. Dealers call for bulk pricing. We have case parts for Beige G3 Desktops and Towers, Blue and White G3's and Sawtooth through Digital Audio G4's. Call for specific part prices. RARE FIND! Finally back in stock. These have not been available on the market for some time. We bought the entire lot but had to pay a bit more than usual for them. This is the proper sled for mounting 3.5" internal drives in the lower bay of 7200-7600 series and G3 Desktop (beige). 4 each 6-32 screws are included. $15.00 with any order. 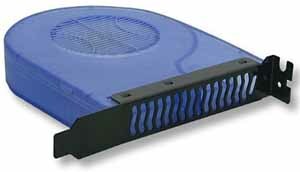 Sled for mounting 3.5" internal drive in Quadra/Centris 610/660av, Quadra 800/840av, PowerMac 6100/8100/8500/9500 and the top bay of 7200-7600 series and G3 Desktop(beige). 4 each 6-32 screws are included. Call for quantity discounts.